OOMPA LOOMPA’S: They are bloody terrifying! Don’t even get me started on the song. I made the mistake of revealing this fear to a class I taught once . The next time I saw them I was irritated to discover that about three of my boys were lurking in the corridor outside my class. When I went out to admonish them for being late I discovered them crawling on the floor with their shoes placed beneath their knees, wearing homemade Oompa Loompa , masks. The kids giggled insanely while I hid under the piano in the hall. They scare me soooo much I cannot even bear to attach a picture of the orange deamons. MOOMINS: I don’t know why! They make weird noises and have no mouths. FISH: When I was under ten years old my parents took me to a massive water park. In the reception area while Mum and Dad paid for our family ticket I amused myself by watching fish in the large tanks in the foyer. I was intrigued by the idea that all the fish were local and swimming in the beach adjacent to the water park – I had been swimming there a day earlier. As I pressed my nose up to the glass just in time for a large eel to pass the glass right in my field of vision. I haven’t liked or eaten fish since. NEEDLES: This is an entirely rational fear. 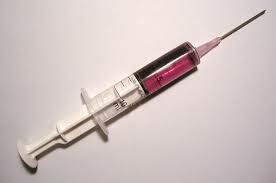 Substances being put into or taken out of my body via a needle is not natural and rarely good news. Whether its antibiotics to cure an illness or the removal of a blood sample to check my general health – it’s never good news. It also hurts and one must trust that the medical practitioner is using a clean needle and is well trained and empathetic.